This website is the best source of early childhood activities for use in teaching about Anzac Day. The following links direct you to particular pages of the website. More interactive activities are on the related War and Identity website - see below. Help save the wounded Diggers on the Western Front. Make decisions to enable you to survive on the Western Front. 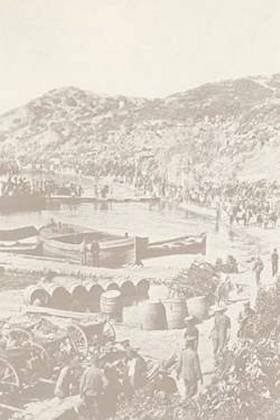 Click on locations where Australians have served in war and in peace. Drag names and images onto the right locations. Drag images of a family's war memorabilia. Useful ideas for involving young children generally in a commemoration of Anzac Day. Issues to consider include respecting soldiers' sacrifice but avoiding fear of war, focusing on heroism rather than violence, distinguishing between commemoration and celebration, using stories as an introduction. Provides links to suitable recipes, craft and other activities. 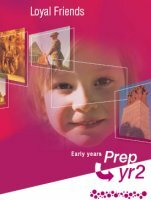 (For the early years - Prep to Year 2.) 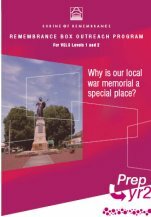 Although this booklet has been produced primarily for students to complete after their visit to the Shrine of Remembrance, other students should find they can complete most of the activities, particularly if they are already skilled at using scissors and glue. But note that the illustrations are in black and white. The publication is no longer available on the Shrine's website. Why is our local war memorial a special place? 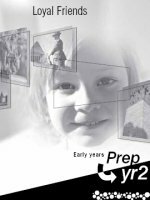 Suggested lesson and activity ideas for very young children (Prep to Year 2): before during and after a visit to a local war memorial. If the document is unavailable at the above link, try this archived version.